Hey guys! I just wanted to do a quickie post to show off Sn@tch’s latest fishing outfit! The “In the Moulin Rouge” outfit comes in 21 pieces that you will have to fish for (or trade with friends! ), and features 5 mesh corsets, heels (not shown) a bodysuit, gloves (not shown), stockings, a gorgeous choker, earrings, and makeup (eye makeup shown, lipstick not shown). I’m wearing it with a head chain, skin, and lippie from Lumae (added brows by Alaskametro! 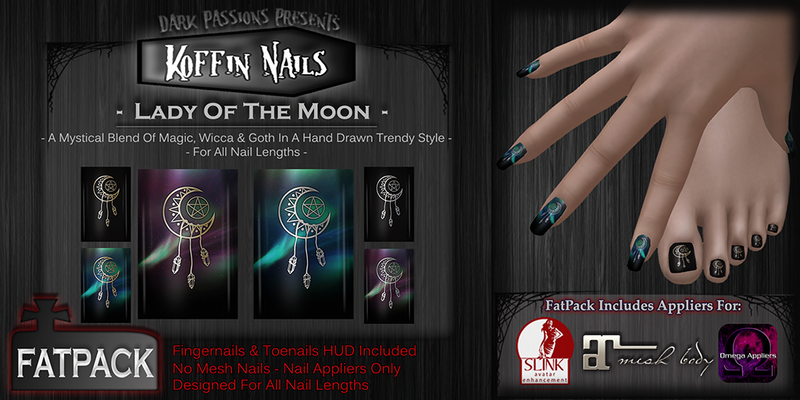 ), shoes by Empire, Nails from Dark Passions at Ostara’s Altar (which runs until the 16th of April) – which also happen to be a $L5 HUNT item and more! Check out the photos, and the credits below. $L5? for the FATPACK? Why, yes, please!